Parishioners after the service at St Stephens Cathedral yesterday. They were urged to keep the faith. BRISBANE Archbishop Mark Coleridge yesterday made the conviction of Cardinal George Pell the central theme of his Sunday morning sermon, urging several hundred parishioners not to lose faith in the Church's central teaching despite the trauma of the last "bruising weeks''. 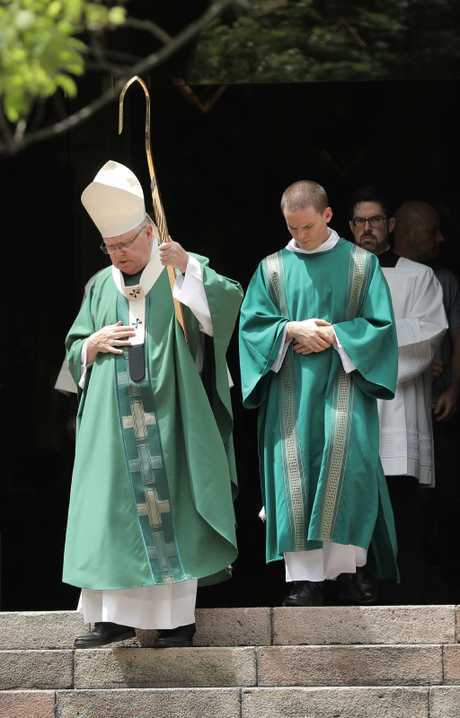 Queensland's leading Catholic prelate acknowledged the conviction of one of the world's highest-ranked Catholics could leave the faithful dispirited. "It can stir within us the spirit of defeatism,'' he said. Archbishop Coleridge, who revealed his personal struggle in coming to terms with the conviction, was in Rome when the news broke. He was attending a summit called by Pope Francis and attended by 100 bishops from around the world to discuss abuse allegations against Catholic clergy. Archbishop Coleridge told parishioners that he had already been through some intense discussions, but the intensity was turned up when news of the Pell conviction reached Rome. Archbishop Coleridge also made a written statement to parishioners in the church's regular four-page newsletter. Catholic Archbishop of Brisbane Mark Coleridge leads the procession after the service at St Stephen’s Cathedral in Brisbane yesterday. "The last few weeks have been bruising for the Catholic Church in Australia,'' he wrote. He said the Church must accept its failures and never walk away from its responsibilities while accepting it had much to learn and atone for. But he also listed numerous areas where the Church played a central role in assisting others, from helping refugees and victims of domestic violence to assisting the poverty stricken and the homeless. "It's the Church that educated millions of Australian children over generations … it's the Church that has provided first class medical treatment in our hospitals for generations,'' he wrote. Archbishop Coleridge is himself the subject of a complaint made by a Canberra woman about mishandling sexual abuse allegations in 2006. He strongly rejects the allegation. 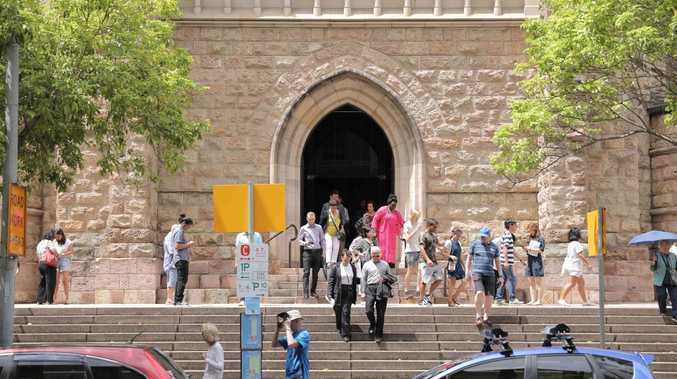 Sydney Archbishop Anthony Fisher told parishioners at St Mary's Cathedral he would refrain from commenting specifically on the Pell verdict because the legal process was not yet complete.